With news of Pope Benedict XVI's resignation still fresh in the minds of Catholics worldwide, Skyline asked an expert to explain the processes of papal resignation and election. Ed Cueva, chair of the Arts & Humanities Department, and professor and scholar of the Classics and religion, served as our expert this week. 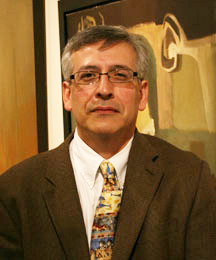 MC: Dr. Cueva, please explain to our readers the significance of Pope Benedict's resignation. Who by his cowardice made the great refusal. 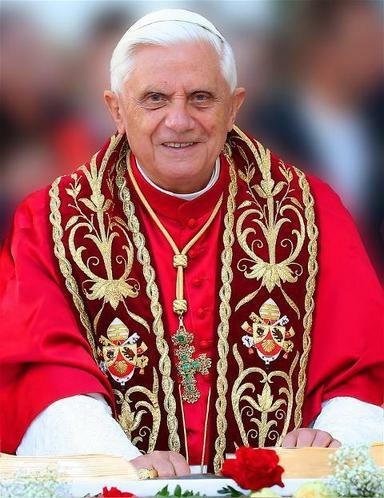 MC: What are the next steps to electing a successor for Pope Benedict? Cueva: Pope Benedict will officially step down at 8 p.m. Feb. 28. At this point, the College of Cardinals (senior officials) have 15 to 20 days to gather at the Sistine Chapel and enter into Conclave, the official ceremony of electing a new pope. Conclave is very secretive and ritualistic. Cardinals must vote in a two-thirds majority, plus one, to elect the next pope. After each vote, the ballots are lit on fire and mixed with certain chemicals. The world will watch the smoke from the Chapel, as it indicates the result of the vote: dark smoke means no consensus was met, while white smoke signals a new pope was elected. MC: Is it known why Pope Benedict resigned? Cueva: In his resignation address, given in Latin, Pope Benedict cited his deteriorating health for the resignation. Its believed that as a trusted advisor of his predecessor Pope John Paul II, Pope Benedict witnessed the decline of his health and didn't want to put the church through that turmoil again. MC: Is there speculation as to who might succeed Pope Benedict? Cueva: There is a saying that "Those who enter the Sistine Chapel as Pope, leave as Cardinals" - meaning that the front runners for the papacy usually aren't the ones that are selected. Traditionally, the College of Cardinals look for cardinals who have spent large quantities of time in the Vatican, represent large diocese and are from leading European countries - Italy, Austria, Spain, etc. But truthfully, it could be anyone and in fact, Cardinal Daniel DiNardo, the Archbishop of Galveston-Houston, was named one of the people to watch. It will definitely be interesting to see who is selected. It's a very exciting time!